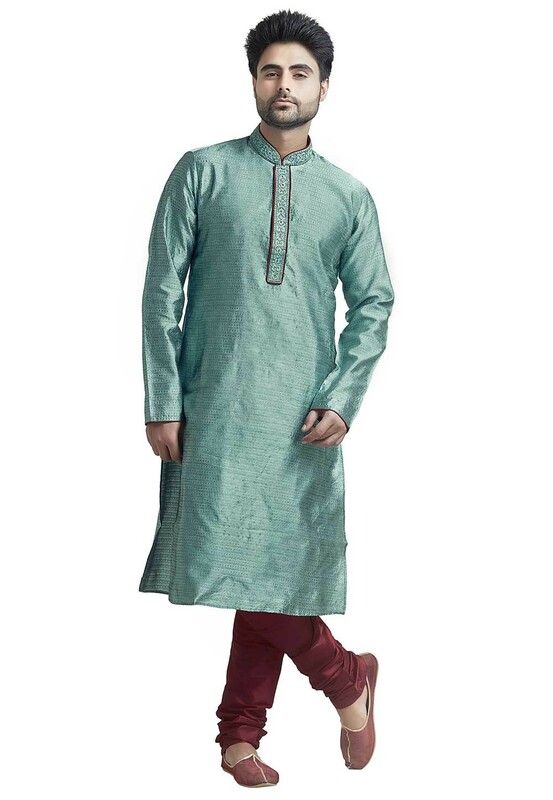 Get that irresistible blend of charm and pristine look with this Blue Colour Jacquard Fabric Readymade Kurta Pyjama. You're reviewing: Blue Colour Kurta Pajama. 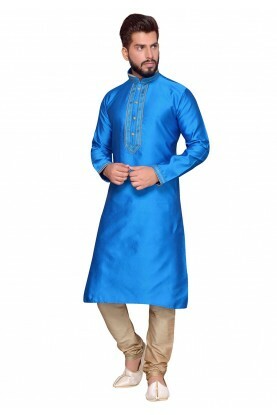 Blue Color Dupion Silk Fabric Party Wear Kurta Pajama. 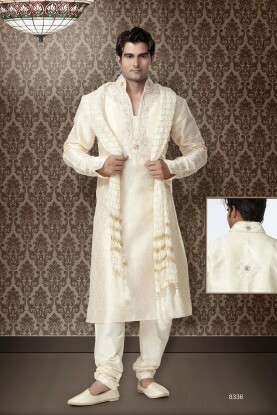 Men's Banarasi,Art Silk Peach Color Readymade Kurta Pajama.